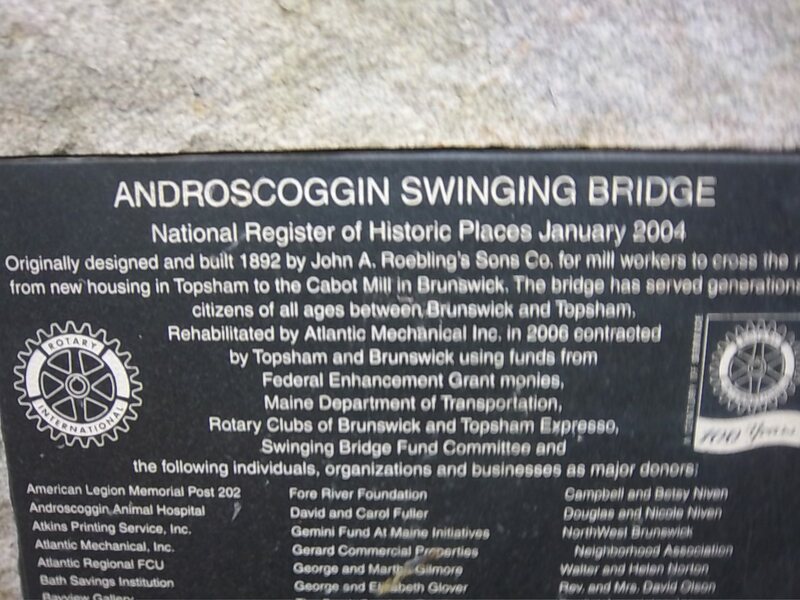 Where Route 1 winds close to the Androscoggin River in Brunswick, there is a pedestrian bridge that crosses over to the Topsham side of the river – the Androscoggin Swinging Bridge. It’s free, it’s open to all and it’s fun! This bridge was built in 1892 by John A. Roebling’s Sons Co., the same company that built the BrooklynBridge in New York. It was originally built with wooden towers, but they were replaced with steel in the early 1900’s. In 2006, the bridge was renovated to its present condition. The wooden deck of the bridge is approximately 560 feet across, and the towers are approximately 332’ high. The bridge was built so that workers could cross from their homes in Topsham to the stores and mills where they worked on the other side in Brunswick. Most of the factory workers at that time were not prosperous enough to own cars; this bridge was indeed a boon to them. On each side are small parks with brick-paved approaches and commemorative plaques. As you cross the bridge, there are picturesque views of the river. 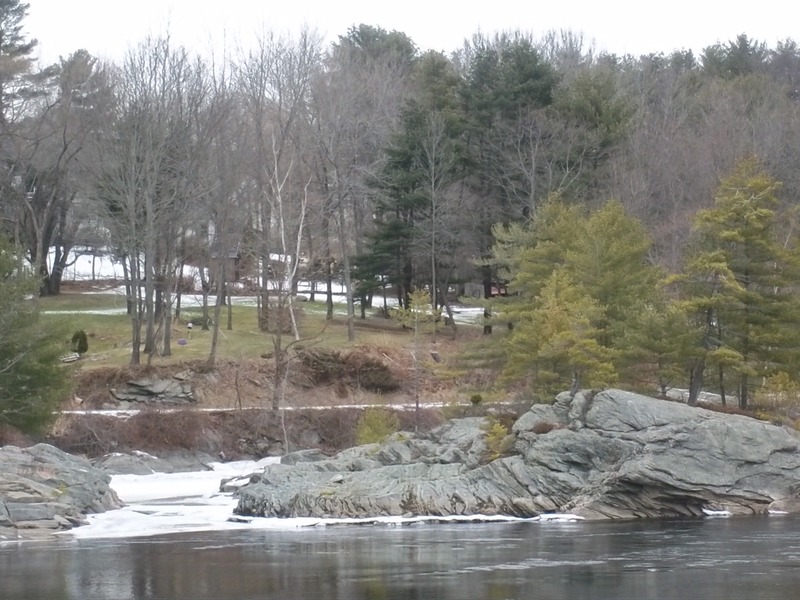 On the Topsham side there are trails and rocky outcroppings that are particularly photogenic in summertime or right after a snowfall. From the bridge the views of the Androscoggin are uniquely beautiful. There are plans to connect the Topsham approach to the bridge with a riverside walkway. There is actually very little “swing” if you walk normally across on a not too windy day. If you want to experience crossing in “ Indiana Jones” style, you could move so that it would have some swing. 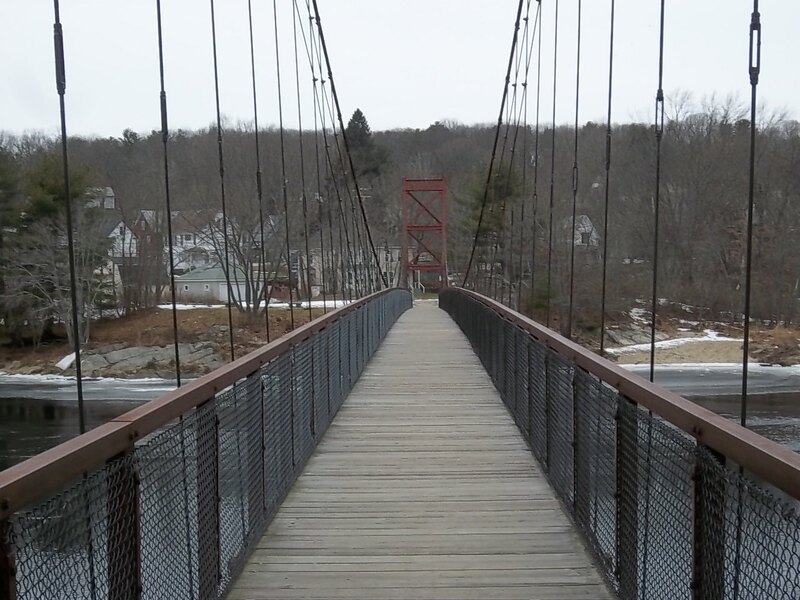 So add some adventure to this boring winter, pretend you are Indiana Jones and head out for the Swinging Bridge. 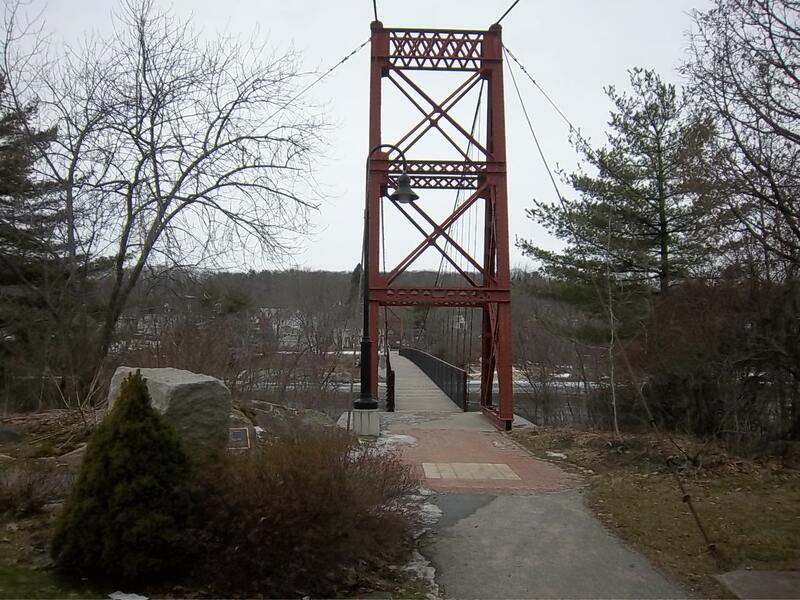 The bridge has been declared a Maine Historic Civil Engineering Landmark and has been added to the National Androscoggin Swinging Bridge. We are so fortunate here in Maine that we can experience an outdoor adventure, sometimes within city limits, such as this bridge. 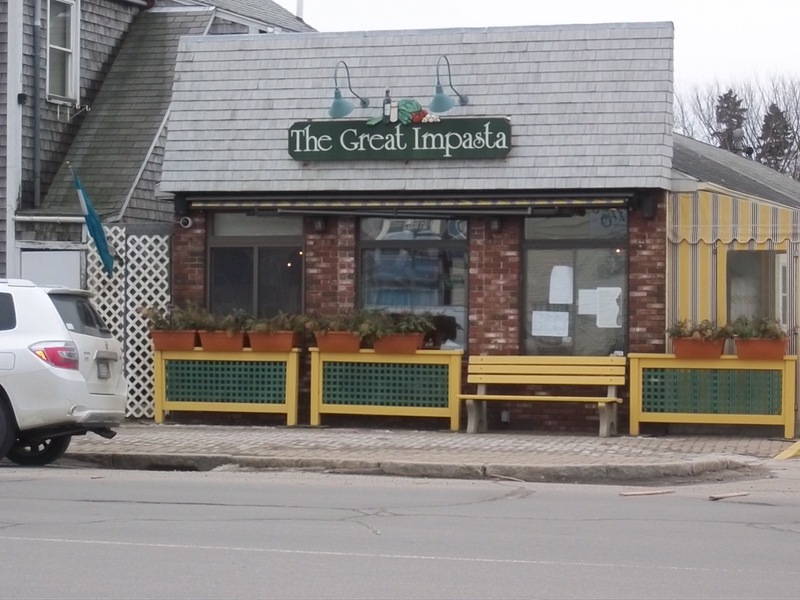 After your adventure, head to The Great Impasta at 42 Maine Street in Brunswick. Note that the interior of this restaurant is very cleverly designed to appear much larger than it is. Everything we have eaten here is delicious and the Italian dishes are superb. I’m especially fond of their dessert brownie which makes the perfect ending for any meal. 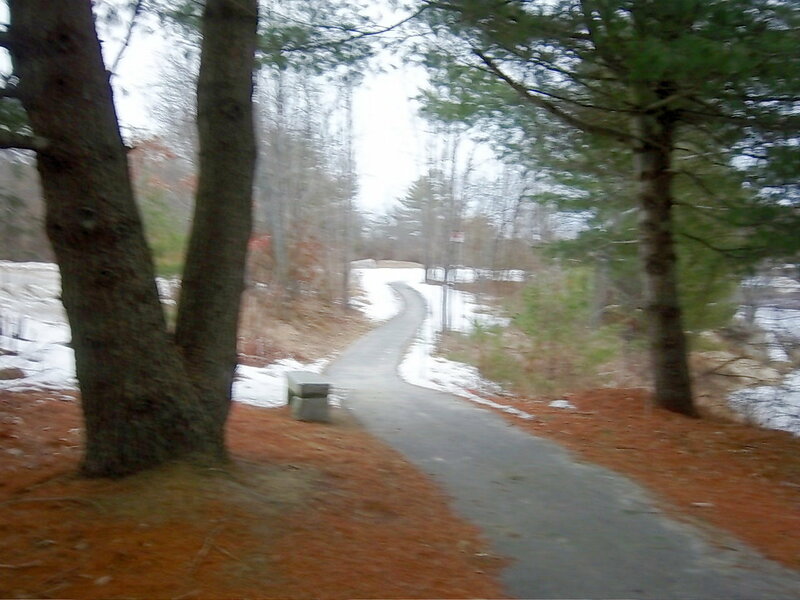 This entry was posted in Uncategorized and tagged Androscoggin River, Androscoggin Swinging Bridge, Brunswick Maine, Great Impasta Restaurant, History in Brunswick Maine, History of Topsham Maine, Restaurants in Brunswick Maine, THings to do in Brunswick Maine, Things to do in Topsham Maine. Bookmark the permalink.